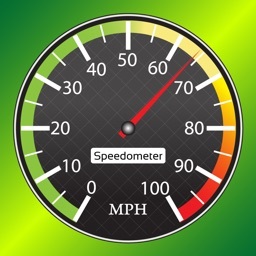 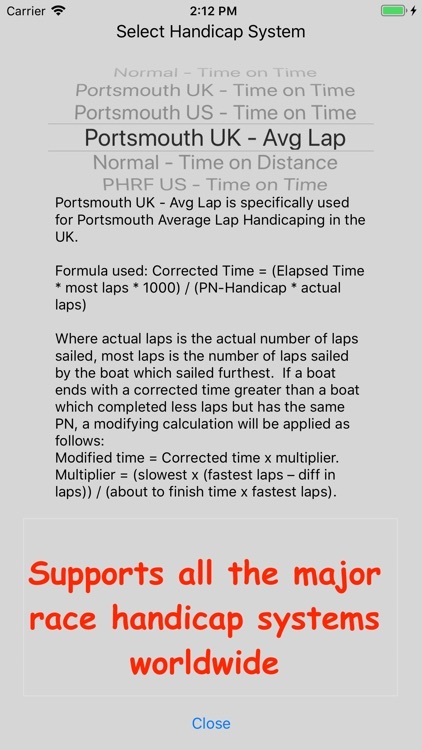 The best and most popular sailing handicap calculator app on on the market. It is commonly used by sailors and race committees all around the world. 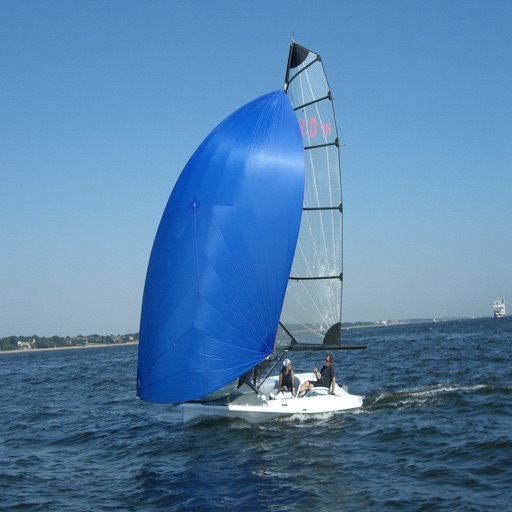 It supports all the major worldwide sailing race handicap systems. 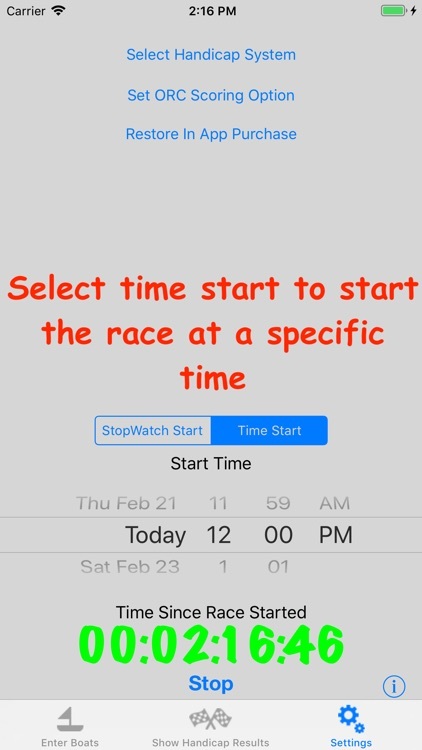 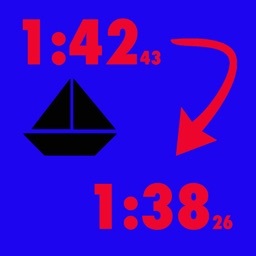 The app calculates the handicapped corrected times for a race and shows the results in order. 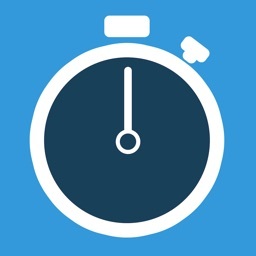 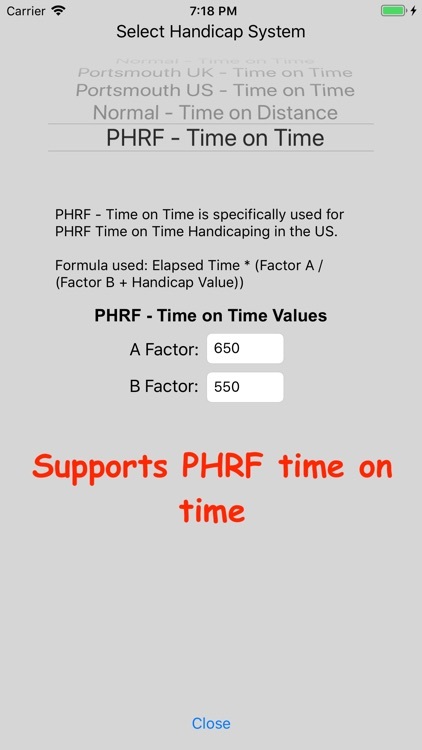 The elapsed times can be entered manually or automatically by using the built in timer feature. 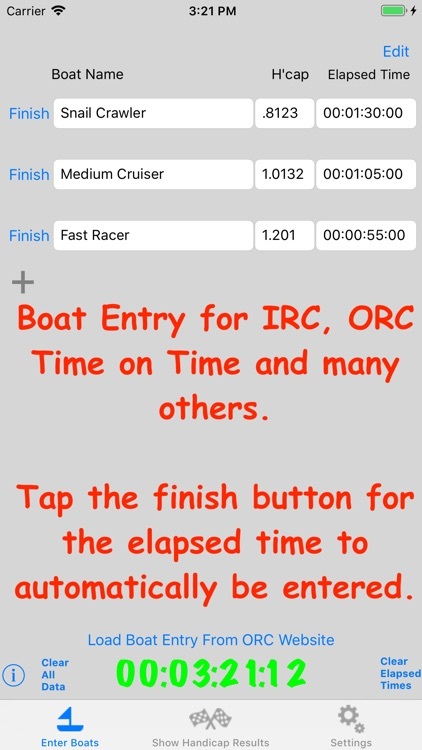 This works by pressing the finish button for each boat as they go over the line to automatically record their elapsed times. 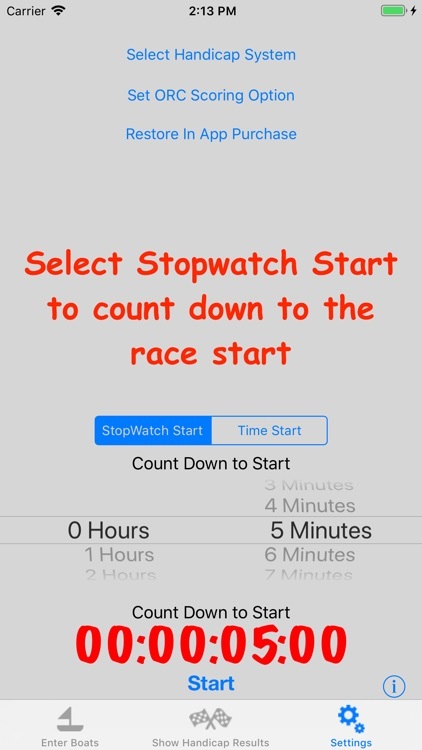 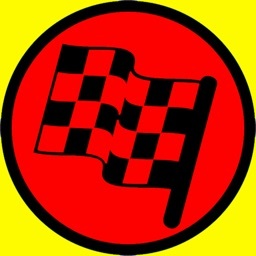 The race start time can be started using a timer count down or by entering a start time. 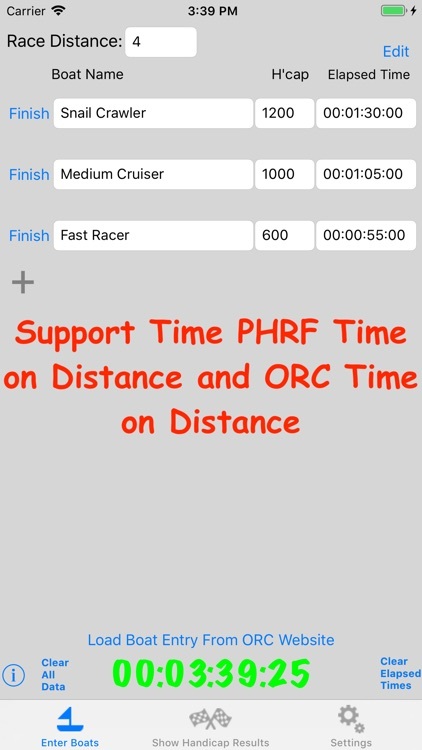 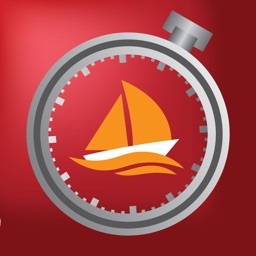 This app is compatible with ORC (Time on Distance and Time on Time), IRC, PHRF (Time on Distance and Time on Time), Portsmouth UK and Portsmouth US handicap. 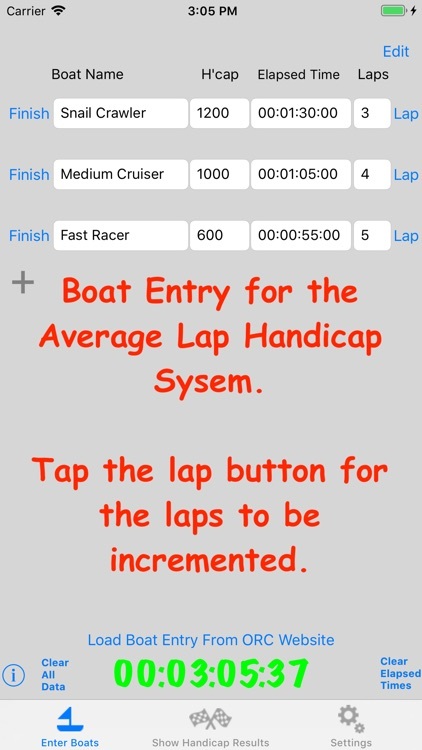 Simply select the handicap option you want to use. 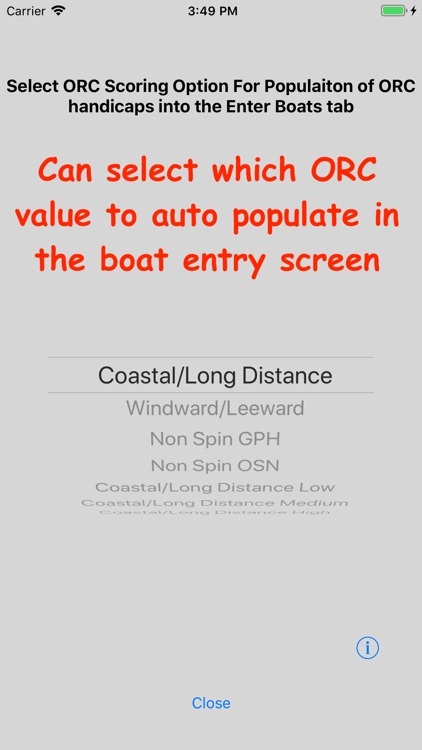 Use the ORC Download feature (In App Purchase) to automatically populate any of the ORC handicap values for any boat with a valid ORC certificate. 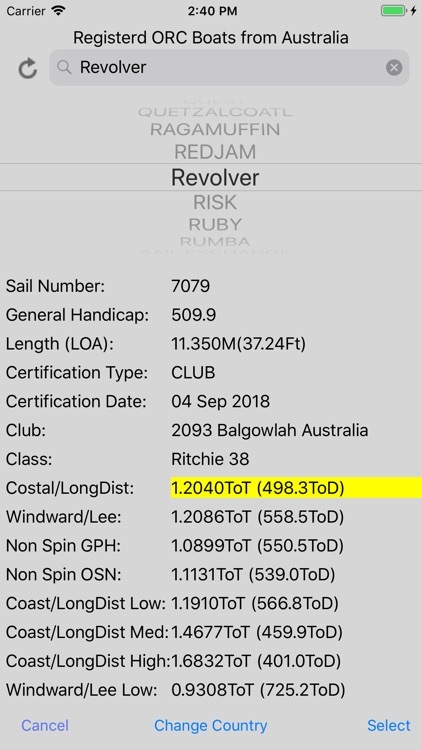 While scrolling through the ORC boats you can view the sail number, boat length, boat class/design, build year, builder, weight, draft, beam, sail area for each sail, wetted surface area and more. 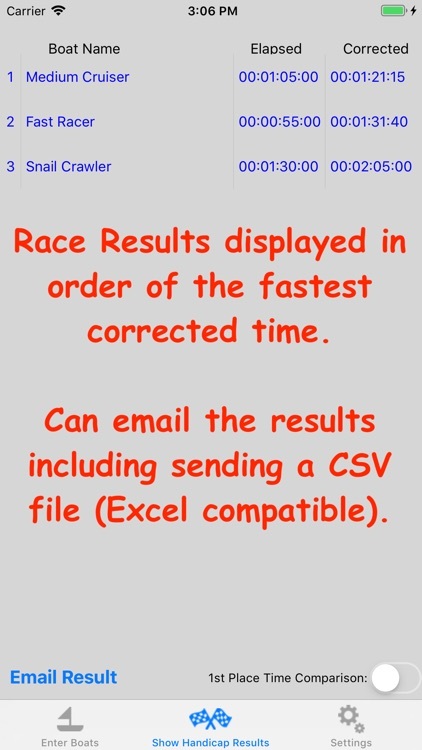 The results can be emailed as a table in the body of the email and also attached as a CSV file (Excel Compatible spreadsheet file).